"Give it to God then let God can make it right." - Joyce Meyer. 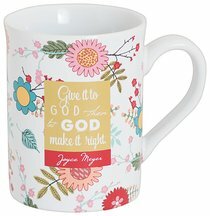 About "Joyce Meyer Ceramic Mug: Give It to God, Green/White/Yellow Floral"